Prioritizing work tasks is always a challenge. Learn different ways of prioritizing tasks by configuring your Kanban board. Using the Kanban method for workflow management can help you significantly with prioritizing tasks precisely. It will guide you to arrange tasks based on their importance and to resolve urgent issues as fast as possible. All you need to do is to set some basic rules on your Kanban board and make sure your team is strictly following them. How to Prioritize Work with Kanban Columns? There is always a requested column (or the backlog) on your Kanban board that serves as the entry point of work items to your workflow. All future tasks are positioned there depending on their priority. 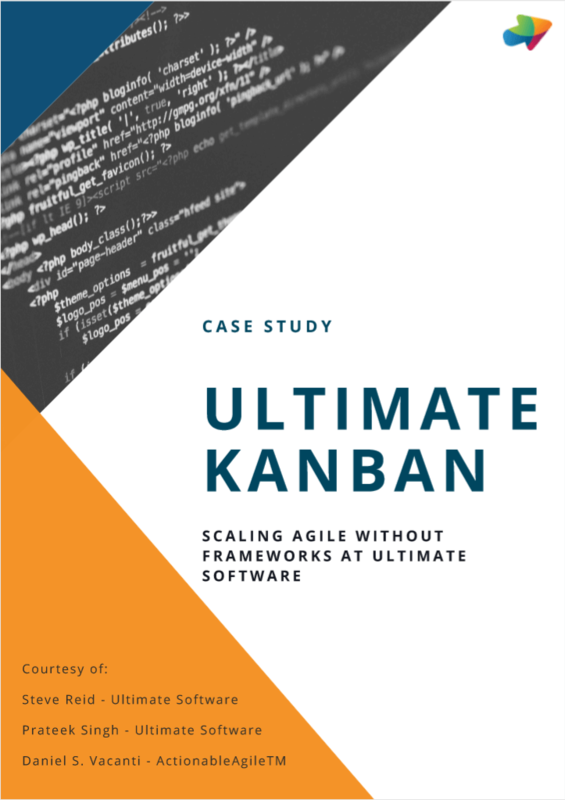 However, there can be different types of waiting Kanban columns further in the workflow on your board depending on the functionalities of your team. For each of them, your team needs to follow the rule of pulling top cards first. This way the tasks of highest importance will be completed as fast as possible. When you place future tasks in a waiting Kanban column you need to make sure that the top ones will be of the highest importance. So every time one of your team members decides to pull a new Kanban card, it will be the one with the highest priority. This doesn’t mean that high priority tasks will constantly overpass tasks with low priority. You have to expedite only urgent work items. Grouping tasks depending on the type of work, for example: web development, technical features, content and etc. Grouping tasks based on product development: Working on product X, product Y or product Z.
Grouping tasks depending on their priority: low priority, average priority, high priority. In the first two cases, you can easily apply work prioritization. You just need to add an “expedite” swimlane on the top of your Kanban board. After this, every time when there is an urgent issue, you simply have to move it to the top swimlane. Furthermore, make sure that the team member related to this exact issue is working only on it. Until its completion. By using Kanban swimlanes for task prioritization, you can be sure that valuable work items will be completed prior to others. Furthermore, the visualization of the whole process will help you notice weak spots in your workflow and continuously improve it. Using color indicators is one of the most common ways to prioritize work. 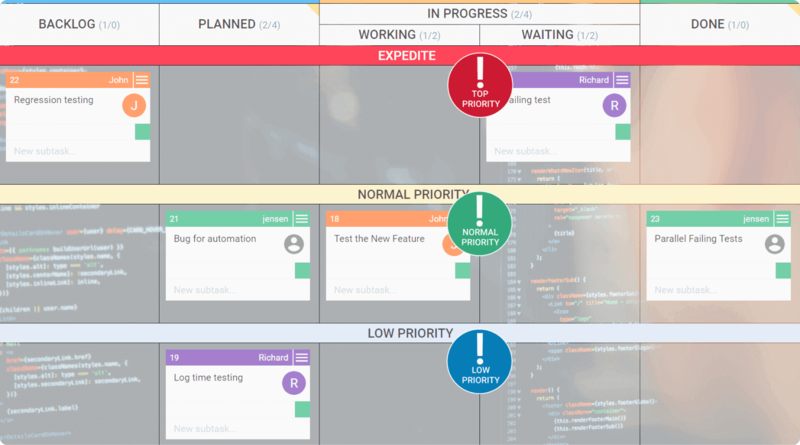 Contemporary Kanban software solutions usually allow you to use customized colors in order to mark level of priority. For example, a red card may signify it has critical priority, while a green one has a normal priority. As visual signals, color marks can be easily spotted by any team member.